The day is turning to evening at My Brother’s Keeper Barbershop (MBK), and everyone’s talking food. Someone jokes that chitterlings made of tofu might be more appetizing than the real thing. “How do you get tofu chitterlings? You went too far. No,” Tiffany Neal playfully scolds as laughter rings through the building. “They’d be gluten free,” cracks barber Derrick Brown. Neal’s young son Ethan waits nearby for a haircut from his aunt Natasha “Missy” Trader, who has been a master barber for 25 years. He’s on the verge of interrupting his mother’s conversation. “You have to wait, I’m talking right now,” she says, gently. He’s disappointed, but minds his mother without complaint. Neal is tired—she recently gave up her month of leave time to cover for a coworker whose child is critically ill. More clients stream into the warm shop, shedding hats and gloves. It’s early January, and baby, it’s cold outside. 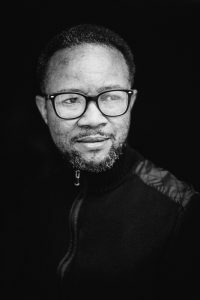 Bishop Craig Coates, owner of MBK, is a pastor at Fresh Start Church, a nondenominational church he founded in Glen Burnie, Maryland. He is also a tailor and an internationally known designer, specializing in fashion for female priests. Coates’ faith and dedication to his community are integral to his business model. 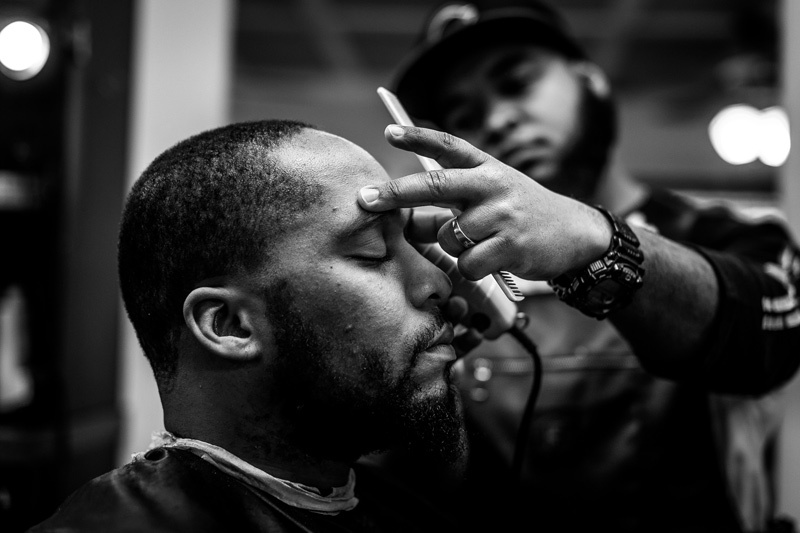 “The whole concept behind MBK,” he says, “was to tap into the black community, to build better relationships with one another around the one thing we always seem to have in common: the barbershop.” It’s a place where community members can resolve interpersonal conflicts and talk about life, news, and politics. “It seems to be one of the only safe environments left where black men and black boys feel they can have a voice,” says Coates. 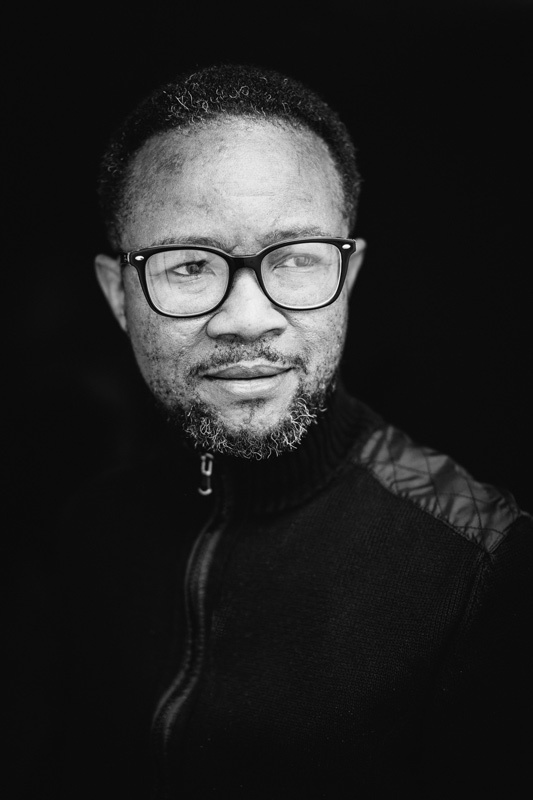 It has lived up to, even transcended, that vision, becoming a gathering place where people of various ethnicities find accord in conversation. To ensure that their services are accessible to everyone in the community, MBK keeps its prices affordable. 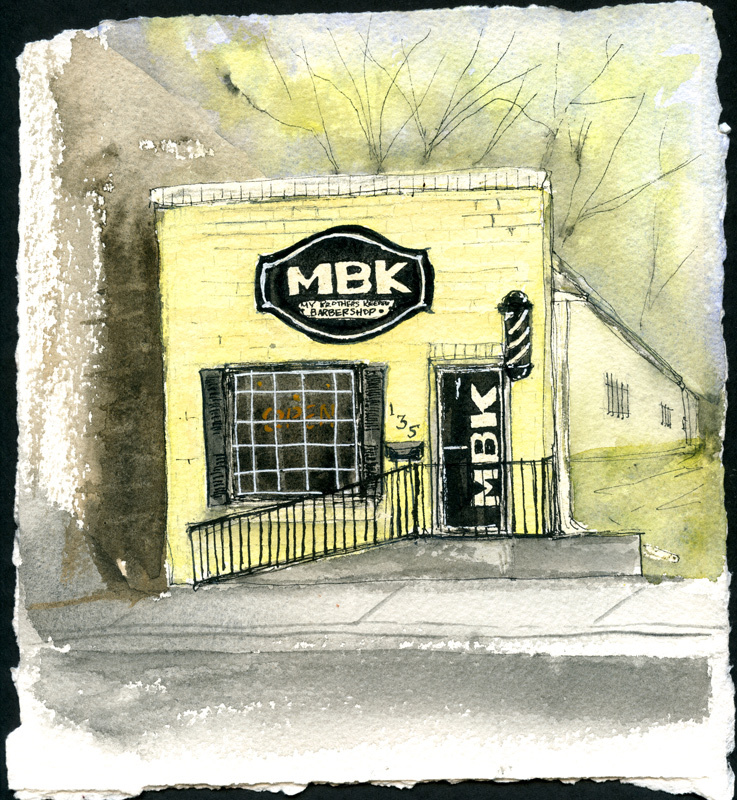 MBK’s one-story building, with its painted brick facade and traditional striped barber pole, was built in 1975 by the African American-owned business F.R. Hawkins and Sons for Reverend John T. Chambers Sr. The Chambers business legacy dates back to the 1940s, when Chambers Sr. opened his first barber shop. Chambers Barbershop had several locations in what was then called the Fourth Ward (now Ward Two), until a wave of urban renewal, or “urban removal” as some customers call it, forced the shop out of the neighborhood. The “Harlem of Annapolis,” the city’s hub of African American culture and entertainment, was razed to make way for parking garages and government buildings. The business found its new home on West Street, in the heart of what is now the Annapolis Arts District. It continued under the management of Chambers Sr.’s three sons, Phillip, John T. Jr., and Carroll, and later, Phillip’s daughter Jewell Chambers-Hawkins. In 2001, the Chambers’ business closed as a new wave of area improvements kept the street under construction for two years, restricting traffic to the area. Chambers-Hawkins, who knew Coates from Chambers Barbershop and from church, was pleased when he and MBK’s first barber, Derrick Brown, expressed an interest in the West Street property. Having sat empty for a long period, the place needed work. 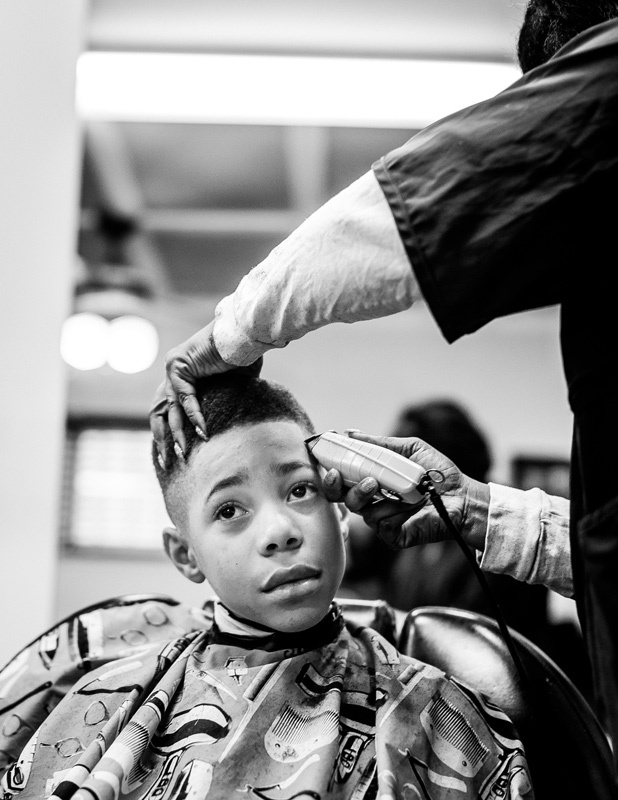 After years of renovation, and weathering the city’s ponderous permitting process, the barber shop opened in late 2008, with its grand opening on January 21, 2009—the day after Barack Obama’s historic inauguration as the United States’ first African American president. Chambers Jr., who also served as Annapolis’ first African American mayor, received the first haircut at MBK. The barbershop now faces a new challenge: 135 West Street, dwarfed by the boxy brick buildings that have sprung up around it, is slated for demolition this year. Coates is searching for a temporary location from which to operate while real estate services organization The Bozzuto Group constructs a five-story condominium complex that boasts artfully designed living spaces. Coates is partnering with the company as part owner of the retail space on the new building’s first floor. He is hopeful about the future of the business. “We’re going to miss that walk-by traffic for a minute, but it doesn’t mean we won’t get it back,” he says, adding that the shop’s new location will have residents living above it who can conveniently stop downstairs for a great cut. Error: Error validating access token: Session has expired on Saturday, 09-Mar-19 15:57:50 PST. The current time is Tuesday, 23-Apr-19 00:50:50 PDT.